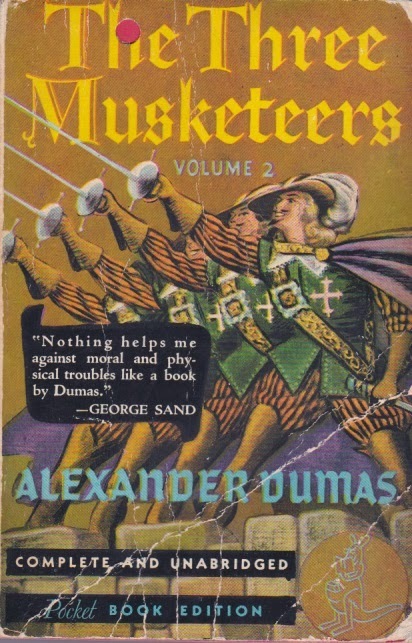 This is a 1940s version of Volume Two of The Three Musketeers by Alexander Dumas. Notice the blurb from George Sand, the pseudonym for Amantine Lucile Aurore Dupin, Baroness Dudevant. She died in the late 1800s so they must have chose to re-run the old quote in the 1940s version. 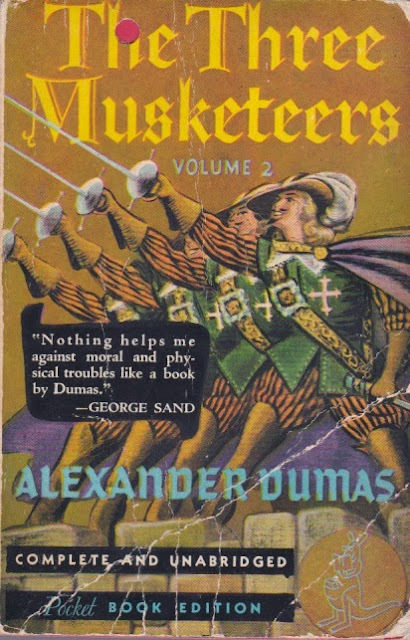 I love this old cover. 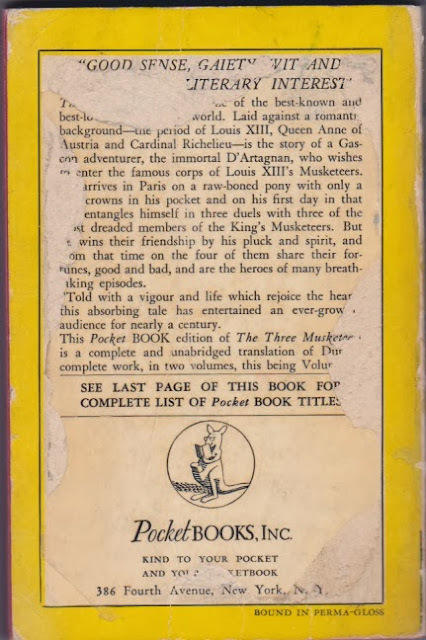 You can read The Three Musketeers here.